The Ukraine is suing Russia according to the UN Convention on the Law of the Sea, claiming that Russia violated and usurped Ukraine’s rights by annexing Crimea and its surrounding areas including the Black Sea, the Sea of Azov, and the Strait of Kerch. This case between Russia and Ukraine is the 26th case mediated by the Tribunal, which was established in 1973. 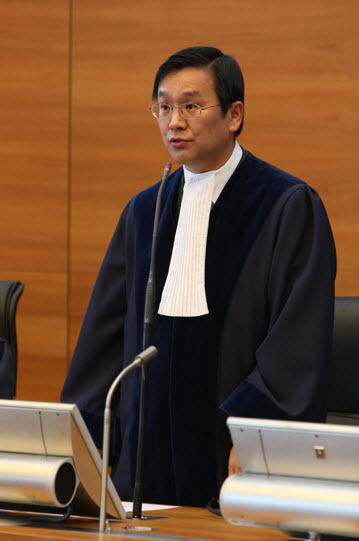 While there are normally five judges in an arbitration case, Professor Paik is one of three judges agreed upon by Russia and Ukraine for this trial. Professor Paik graduated from the SNU School of Law in 1980. He received a Master of Laws from Columbia University (1983) and his Doctor of Laws from Cambridge University (1989). In 2009, he was appointed a member of the Tribunal, and was reelected in 2014.